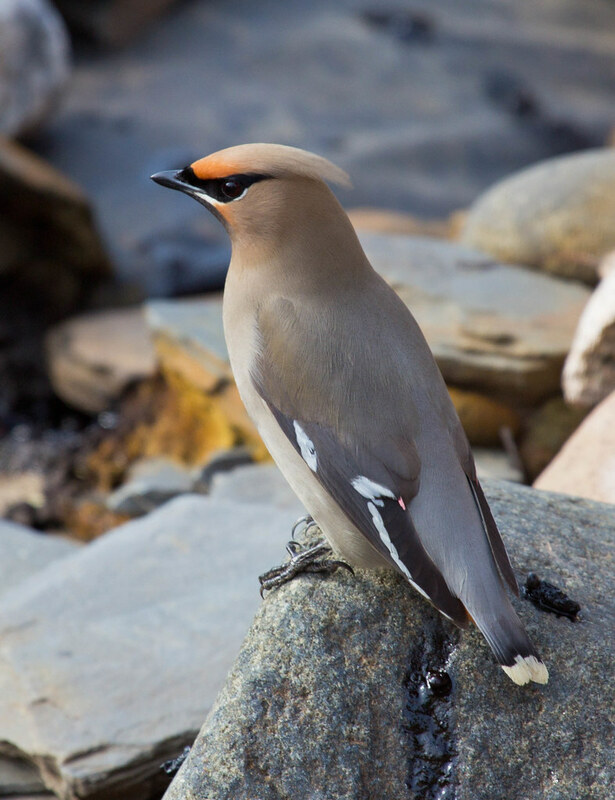 This handsome waxwing, the only one found in Europe or most of Asia, breeds in northwestern North America but often wanders east during winter. Its calls are louder and more rolling than those of Cedar Waxwings. The two species often are found together in winter flocks.